Eco Paint renders professional painters and complete paint contractor services for Littleton Colorado. Eco Paint, also offers the best, most superb home painters and custom house painting services near Littleton CO. Eco Paint is an Eco Friendly, honest, personable, and professional team of highly qualified affordable painters to provide you with interior and exterior painting services. Eco Paint experienced painters offer the latest painting color ideas, trends, and painting techniques for you, providing you with outstanding benefits and house painting results. Our Littleton painters will exceed your expectations! Eco Paint offers interior and exterior painting, for all types of residential, commercial, and industrial properties. Utilize our painters' tenured residential specialties at Eco Paint to enhance the interior and exterior aesthetic, functional, and durability elements of your home or office with our professional painting services. Eco Paint paints siding, walls, ceilings, cabinets or trim to add value, paint protection, and brilliance to your property – without compromising integrity. A fresh coat of paint enhances curb appeal, home value, and weatherizes the exterior of your property. Littleton is a place where the nation's top architectural, product, and special paint coatings are currently available, and Eco Paint is your painting expert in the area. 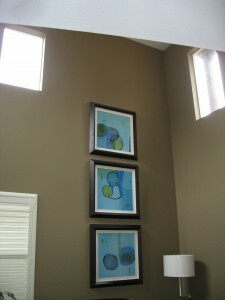 Paint Contractors in Littleton, CO. Needing a Littleton painting contractor? Eco Paint contractor provides the best house painters and complete painting contracting services in and around Littleton, CO. Eco Paint provides top painting contracting services, painters helping with interior and exterior paint solutions. Also painting near W. Bowles Ave. W. Mineral Ave. S. Broadway, S. Prince St. and W. Ridge Rd. Eco Paint is your friendliest and most professional paint contractor, providing highly qualified and motivated team of exceptional painters, paints complete interiors and exterior for homes, offices, and businesses near you in Littleton Colorado, having nearly 40 years experience. Because our quality control standards are the highest, our staff and journeyman painters are among the best in the business, we always put our Littleton customers first. Our focus and slogan for nearly 4 decades has been "Customer Satisfaction is Our Main Concern". We want you, our valued customer of Littleton, to be glad you selected us. Managing your painter's job through its entirety of scheduling, sampling, preparation, continuous clean up, work safety, to paint finals, is what your painting contractor in Littleton does on a daily basis. Eco Paint contractor takes a special interest, providing the very best painters painting your home or office in Littleton, with the utmost attention to detail. Below is a list of our wide variety of Littleton painting contractor services, that we hope you find helpful. Contracting services include complete written paint proposals, estimating paint quantities, sampling, scheduling, purchasing, mobilizing, supervising painters, and critiquing with a final walk-through. Enjoy the personalized internal and external contractor painting services, with unparalleled craftsmanship, and competitive painting costs and quotes estimating in the entire Littleton area. Working with your schedule is our primary concern, putting our customers first, meeting your timing the best we know how. Purchasing the top materials and products in the industry, with you in mind. Generally leaving extra paint with you is always a good idea. Mobilizing, and supervising, always having a paint foreman on site, communicating with owners and supervisors. Cleaning the grounds every day, to insure all debris is contained, and equipment is left organized, until final inspection is completed. These are just a few tasks your Littleton painting contractor does best, and Eco Paint is the painting leader in Littleton, CO. The contract includes purchasing all materials and paint, with your approval of paint colors after looking a paint swatches painted on the walls. Your contract includes supervising paint team throughout its completion, looking over each day's work, keeping a constant flow of communication between home owner and contractor. Inspecting grounds making sure we are leaving grounds safe and secure, picking up any debris that may be present. Essentially contracting with Eco Paint elevates all work on your part, except only to choose the paint colors, which we work with you, choosing the right color ideas, and trends. Taking the paint task from beginning to end, having done this hundreds of times in Littleton. Painting Homes and Offices near Littleton, CO.
Painting homes, siding, walls, ceilings, or trim for any room, adding value, paint protection and brilliance every step of the way, with uncompromising integrity. Painting homes and businesses near W. Caley Ave. S. Windermere St. W. Peakview, Rangeview Dr. and Columbine Valley. Our painters always give much more than expected, painting interiors and exteriors, for all residential and commercial painting services. Utilize the tenured and experienced specialists at Eco Paint to enhance the interior and exterior aesthetic, functional, and durability elements of your home or office with our professional contractor services in Littleton. Enjoy the personalized internal and external contractor painting services, with unparalleled craftsmanship, and competitive painting costs and quotes estimating in your area of Littleton CO.
Eco Paint offers a comprehensive selection of Littleton paint services both interior and exterior, and employs only the highest quality paint supplies and workers to get your job done right the first time. Enjoy the personalized paint service, whether it's painting a single room, or the entire home with unparalleled craftsmanship. We offer competitive prices for Littleton, making Eco Paint a community favorite. Eco Paint contractor services takes a special interest, providing the very best most affordable paint cost estimate in Littleton. Painting your home or office in areas including Littleton, Columbine, Columbine Valley, Bow Mar, and Southglenn areas, with the utmost attention to detail. Paint cost estimate includes credentials, references, insurance, estimated time of completion, and how many painters to schedule for your job, giving you a very thorough and complete paint cost and estimate.